Optimized for action cameras, smartphones, and other handheld devices, this waterproof 32 GB memory card offers expandable file storage with speeds capable of handling the most demanding video modes. Designed for action and cinema cameras, this waterproof 64 GB memory card captures flawless 4K, 3D and full HD video footage at blistering frame rates surpassing 120 fps. 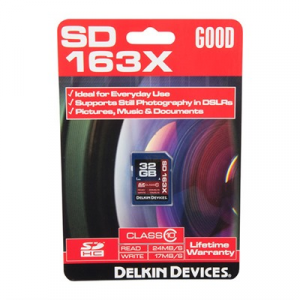 Optimized for action cameras, smartphones, and other handheld devices, this waterproof 64 GB memory card offers expandable file storage with speeds capable of handling the most demanding video modes.